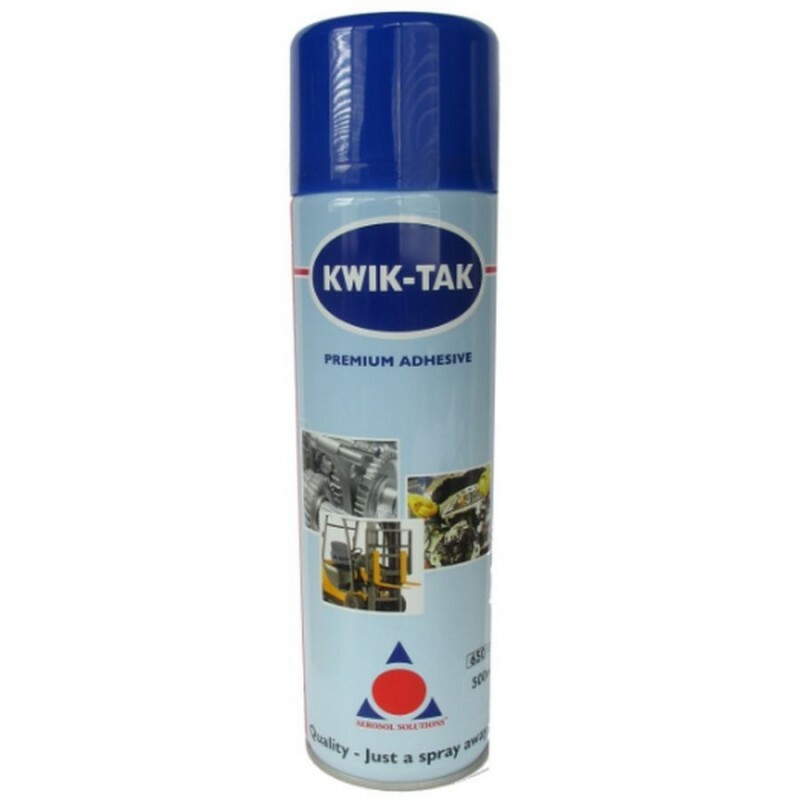 Kwik-Tak is a heavy duty aerosol adhesive which incorporates a variable spray adjuster and gives strong adhesion in a wide range of situations. Suitable for bonding foam rubber to most hard surfaces and as such is ideally suited to the fixing of foam backed carpets. 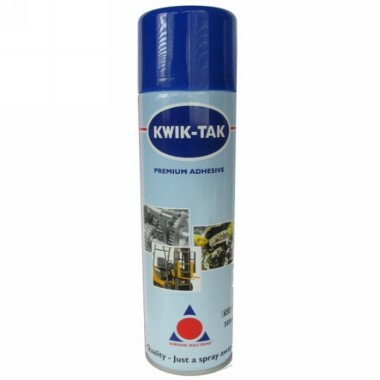 Extensively used in the furniture, automotive, laminating and decorative trades. Recommended for use on paper, card, fabrics, wood and plastic.